A few months ago I went to the new indoor climbing centre at Leicester Highcross, called, Social Climbing. I’d never been before, nor had I ever climbed before so it was a whole new adventure for me. However, it was a new experience I found I really enjoyed, and have since started to get more into it. My husband has done indoor climbing, or as it is known as, bouldering for a few years and loved it, therefore it was a new activity we could do together. 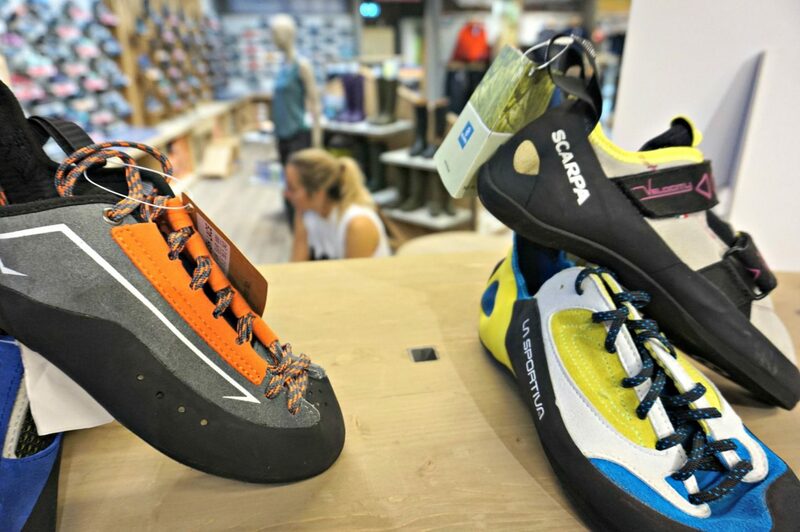 Obviously, at climbing centres, you can hire shoes and use their equipment, but after a while, you start to realise you need your own. Before I go on, what do you actually need to go indoor climbing? Believe it or not, not a lot! It is actually an inexpensive sport for me to enjoy – hurray – beat the price of triathlon kit! I always thought it was quite a specialist thing to be into and therefore only specific and dedicated outlets were to sell what you need. I was wrong. Cotswold Outdoor is a prime example of where you can get pretty much anything you need if you’re an outdoor, activity girl like me! I met some of the staff at the Social Climbing launch event at the Highcross, as Cotswold Outdoor actually have a presence in the Highcross. 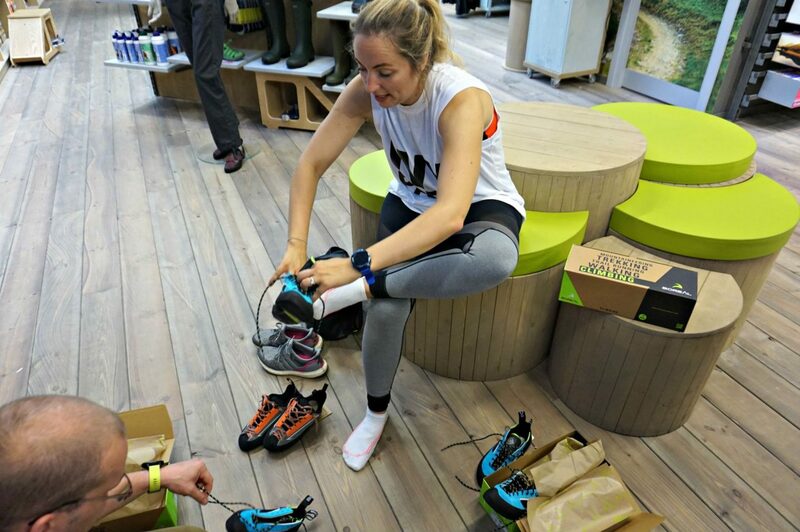 I was kindly invited to visit Leicester Highcross Cotswold Outdoor branch, where the staff would take me through the process of getting me my first pair of climbing shoes. 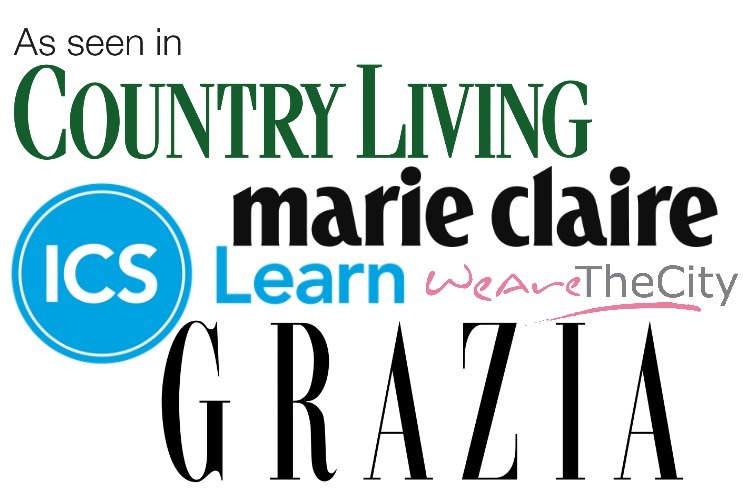 They also kindly gifted me a pair so I was excited to quiz them about what I should be looking for as a beginner. 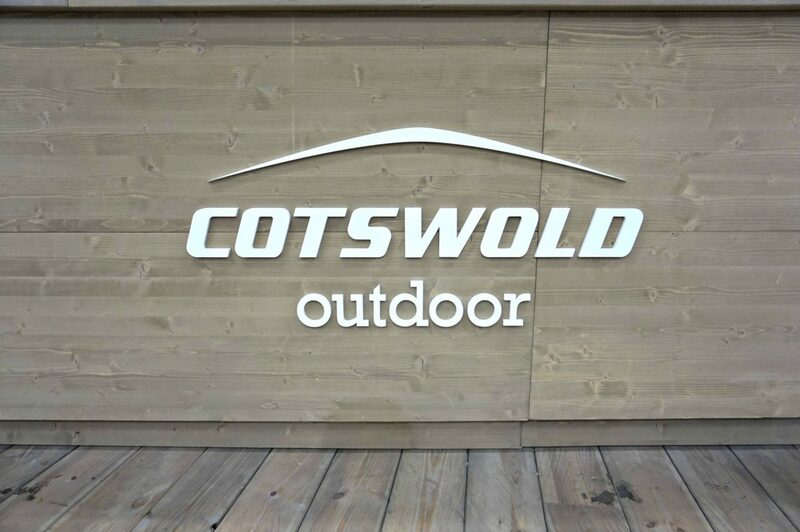 The best thing that stuck out for me about Cotswold Outdoor was the fact they literally cater to everything, even better is that their staff all have a variety of passions for these activities. Meaning they know exactly the pros and cons of equipment. 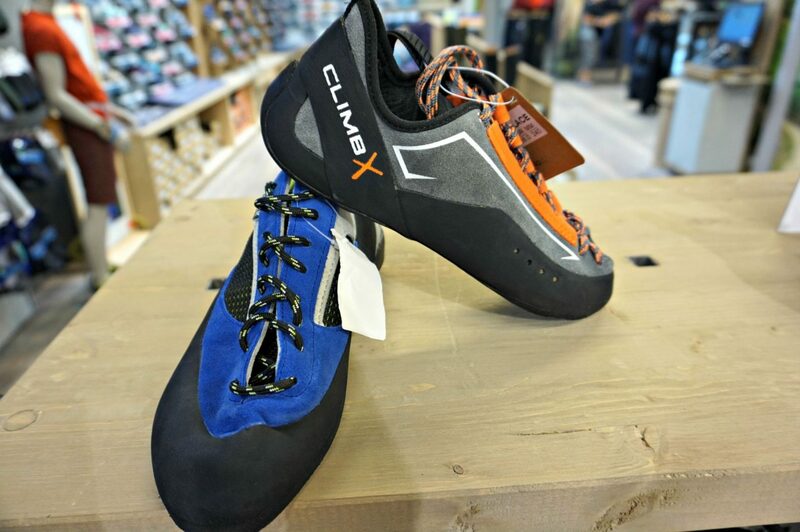 It is quite daunting looking at all the climbing shoes available, I had no idea there was such a range! Don’t panic you just need comfortable ones to start with! Nothing too restrictive but not too big – ideally a neutral sole fitting. 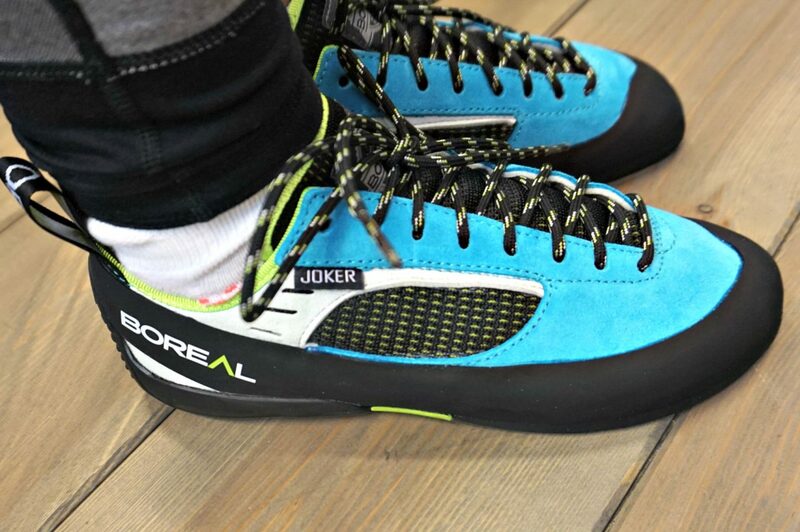 After browsing the extensive range of climbing shoes, I chose a few pairs to try on. Obviously, being me, I went for ones that had the best colours! We went to try them on and I immediately thought I should be a size bigger, but it turns out, shoes for bouldering should be snug. Not so snug you are cutting off circulation but so much so that your feet can’t slide about. Comfort is key! Don’t buy a pair of climbing shoes where you feel really restricted, otherwise, that is not going to be a fun experience! Laces or Velcro? I originally would have said velcro but I went for lace after feeling far more secure. I did try velcro but the laces actually felt far better. What kind of climbing shoe? Plastic or Leather? Leather will always give, and perhaps not support as well, but it can shape better to the foot. Plastic won’t give and will be more stable, however after a few wears they can get a little smelly! Also leather will be more expensive than anything else. So they both really have their pros and cons. For a beginner? You just need something with thick rubber soles. Last things to mention is about rubber soles, you need ones with thicker rubber soles, which helps with durability. Don’t spend too much – you really do not need to. 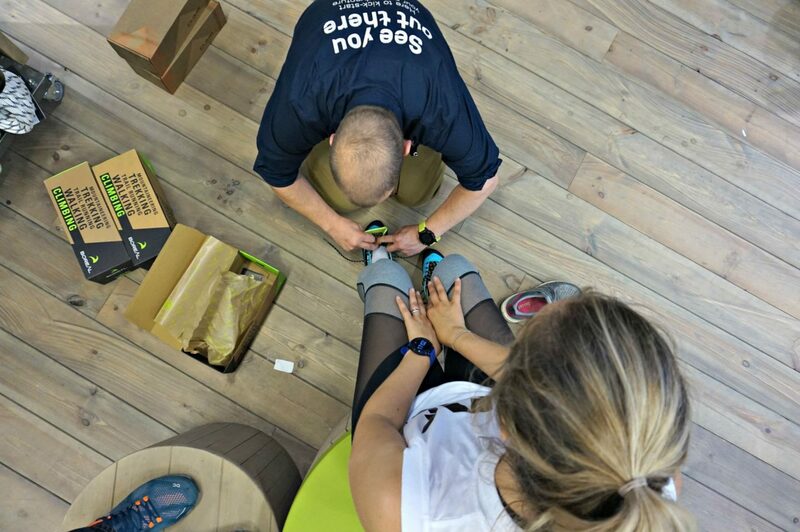 Your feet are going to be adapting and working out what they feel most comfortable in as you learn how to climb, so don’t break the bank to start with. 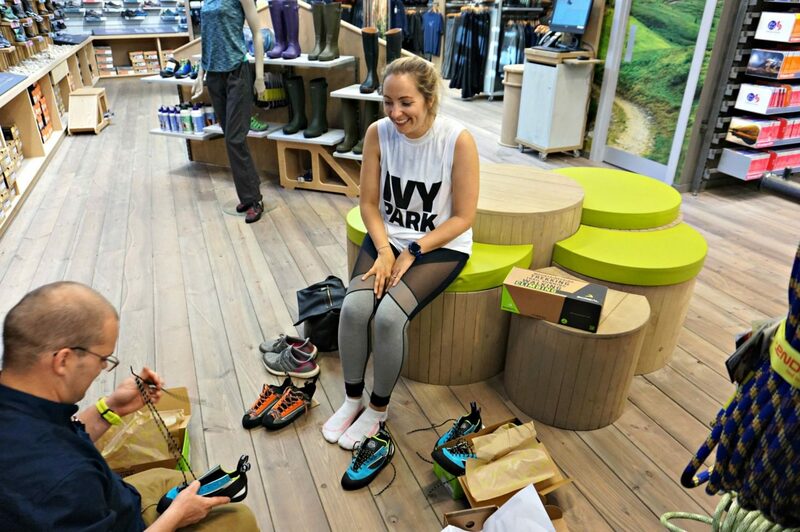 As I say, I was invited by Cotswold Outdoor who really helped me decide on the right climbing shoes for me. Who knows, I may become ace at bouldering and need to revisit for my next pair, but right now I’m just getting to grips with it!